With today’s modern biotechnology we replace vital organs, cure deadly diseases and perform medical miracles almost daily. It is pretty awesome. Surely, the same approach toward maladies such as being overweight and obesity should be easy … right? For more than 300 years researchers have worked tirelessly to discover a simple solution. After all, weight-loss is a lucrative market worth billions. Yet, despite the top scientists and billions in research, 100% of all weight-loss shortcuts have failed. And, it’s not just big pharma, who are people who actually have the funds to put into the R&Dthat are struggling. All commercial weight-loss programs that focus on just restricted calorie dieting, hypnosis, liposuction, cleanses, magic pills or foods, lap-band surgery, etc., are dismal failures. Many purported methods are downright dangerous! Despite humanity’s incredible advancements in almost all fields, the human body, itself, still (on a grand scheme of things) processes foods the exact same way it did thousands of years ago although we are all learning more and more about how these processes are greatly affected by the critters on us, in us and all aspects of our environment and lifestyle. It does so with amazing efficiency using hundreds of complex processes. Therein, lies the SECRET! The human body has its own set of rules. And, it allows NO SHORTCUTS. In fact, the body perceives shortcuts, like black to white dieting, as — a threat to its own survival! The REAL reason most people don’t gain permanent control of their weight, as well as other health issues, is because they simply don’t know how their bodies function. While this is true, the truth also is that in order for you, someone not working in a fitness or health-related field to live better, things do not have to be so damn complicated and tbh, most cannot handle the complicated stuff anyway. Keep it simple but DO THE WORK. –and how it all relates to your weight, metabolism, body chemistry and overall health? The truth is that most people have a better understanding of how their mobile devices operate than how their own bodies function! While you don’t need to make learning all of this stuff your new full-time gig, it is important to learn and implement habits and behaviours surrounding your health. Aside from that, society is messssed up in its values of putting everything BUT health at the forefront of existence. Guess what? You cannot enjoy all of the stuff you are working too much for if you are dead or debilitated, just saying. Unfortunately, the change has to come from the top but we all have the power to keep voicing for better health on a global scale. This post is simply a reminder to you to take care of you FIRST, prioritize it! 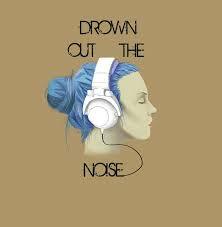 Drown out the noise, stick to one or two things at a time for a consistent period of time. Take the time to learn instead of jumping on ever bandwagon, be sure you really want the goal you think you want, enjoy the process of learning about yourself, and reach out for help that does not offer you a quick-trick-fix.